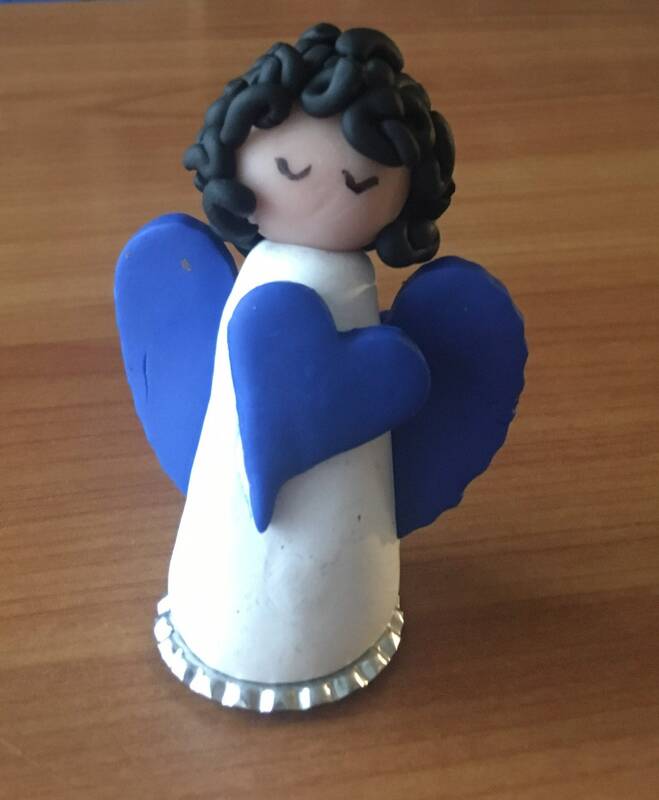 Curly black hair tops the head of this cute little clay angel holding a blue heart that matches her bright blue wings. 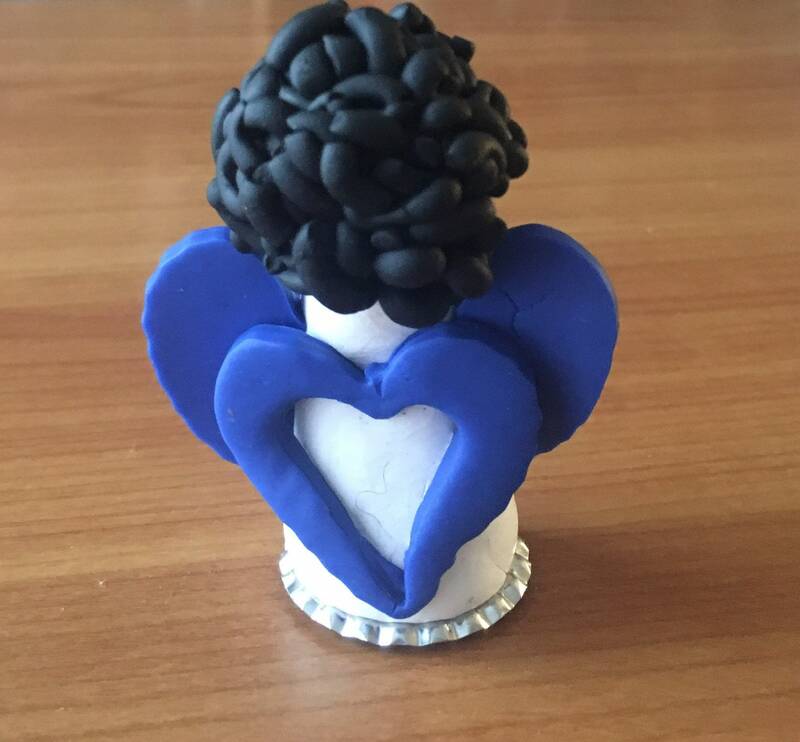 Lovely gift for someone special! 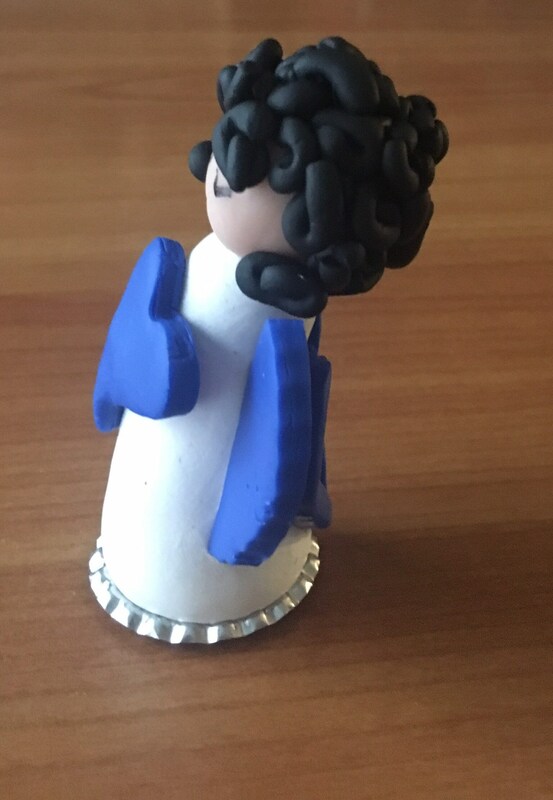 Polymer clay approximately 2&1/2 inches high. 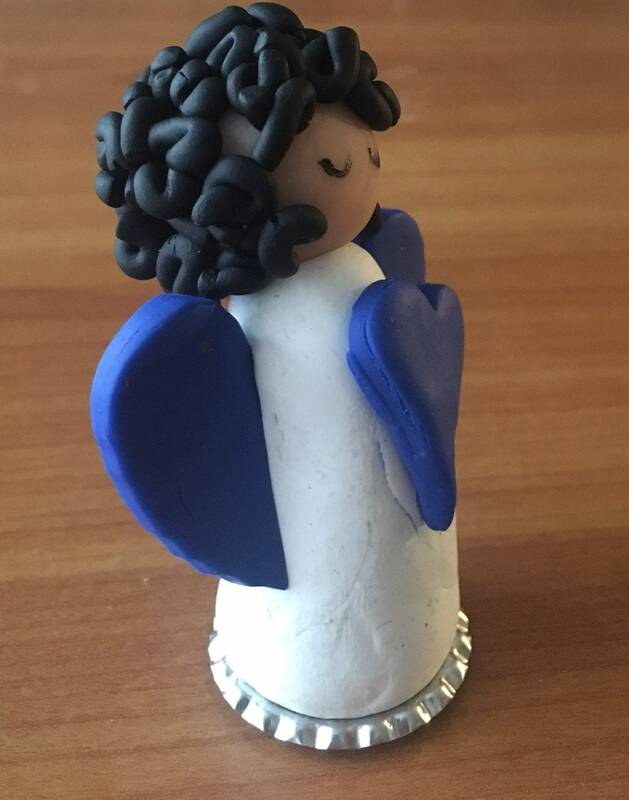 On metal bottle cap base.